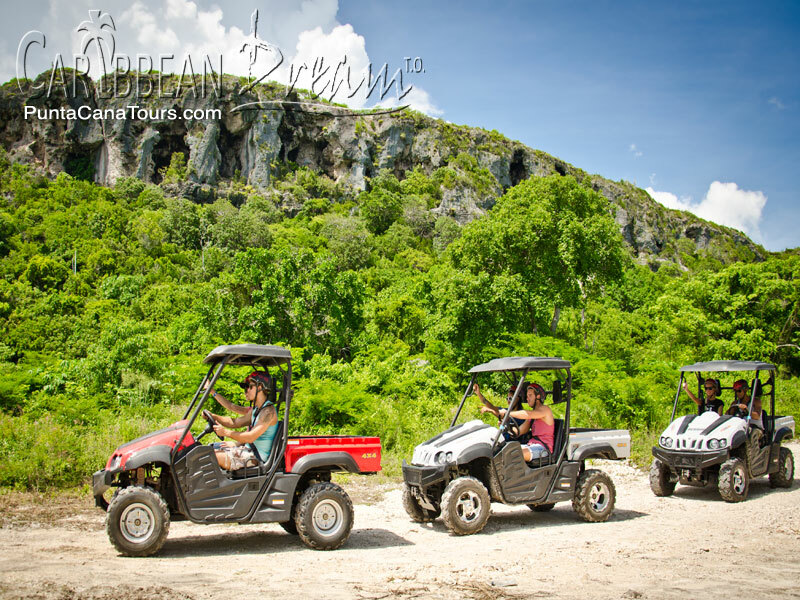 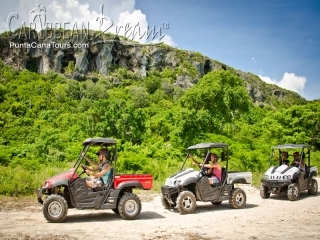 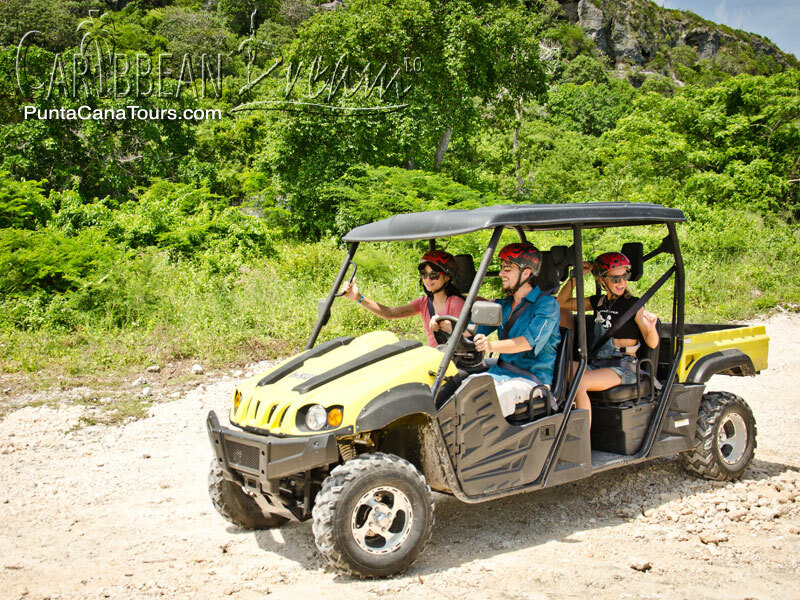 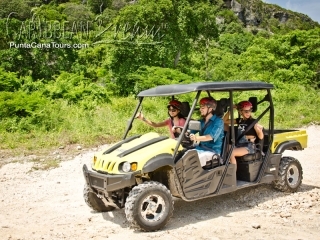 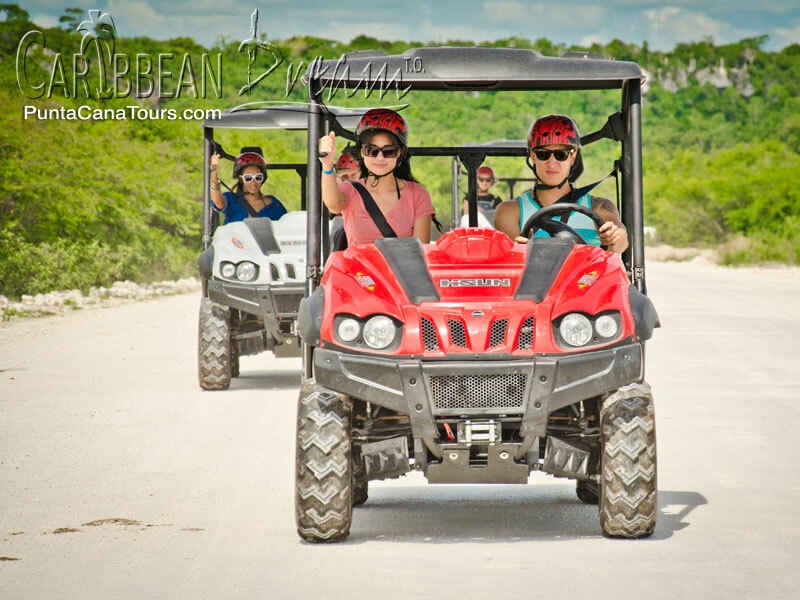 Experience the beauty of Cap Cana's grand landscape from behind the wheel of your own Buggie in this unique Cap Cana Buggie Adventure. 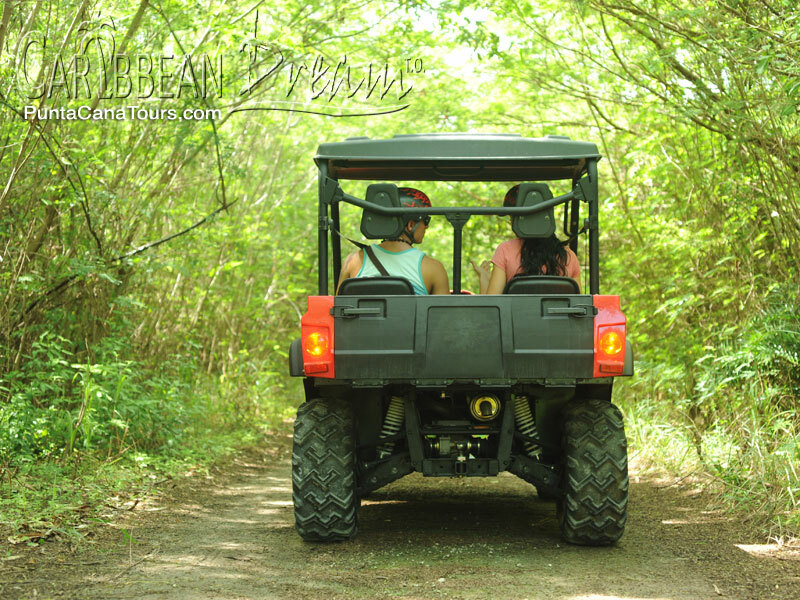 After being picked up from your hotel, you'll receive some brief safety instructions from your guide; next, jump inside your buggie and get ready to start your adventure! 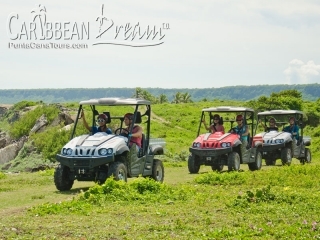 You'll be driving through Cap Cana's unforgettable landscape, surrounded by tropical forests, dry forest and open stretches. 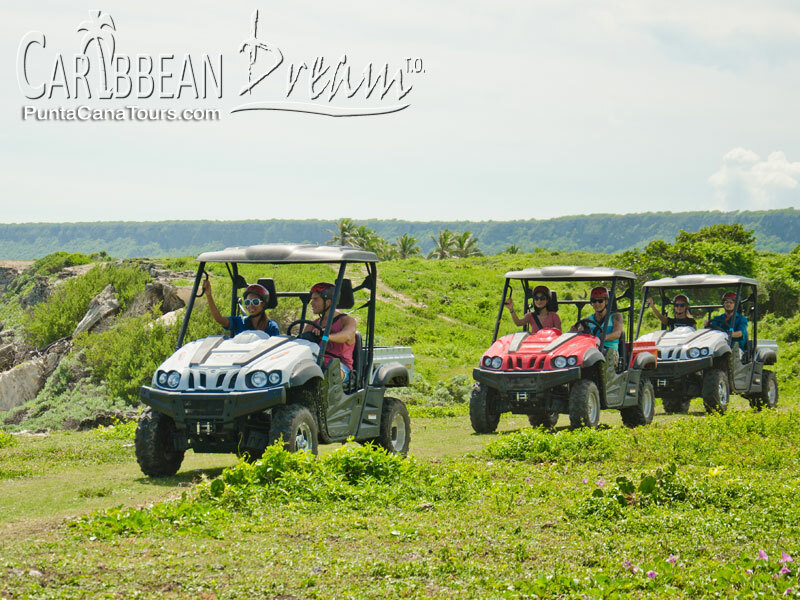 Your tour continues along the backroads of Cap Cana as you border the Farallon cliff with amazing seascapes. 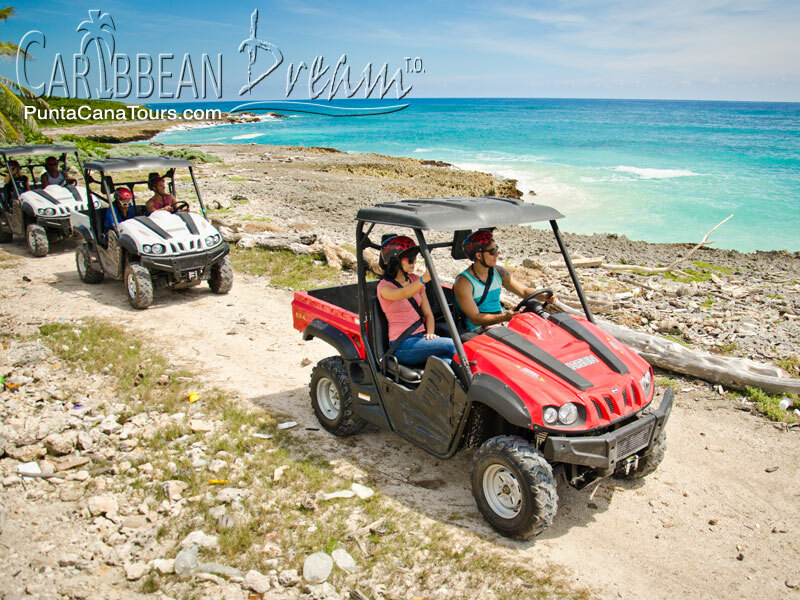 We'll make a stop at the photogenic Cabo Beach where the Caribbean Sea meets the Atlantic. 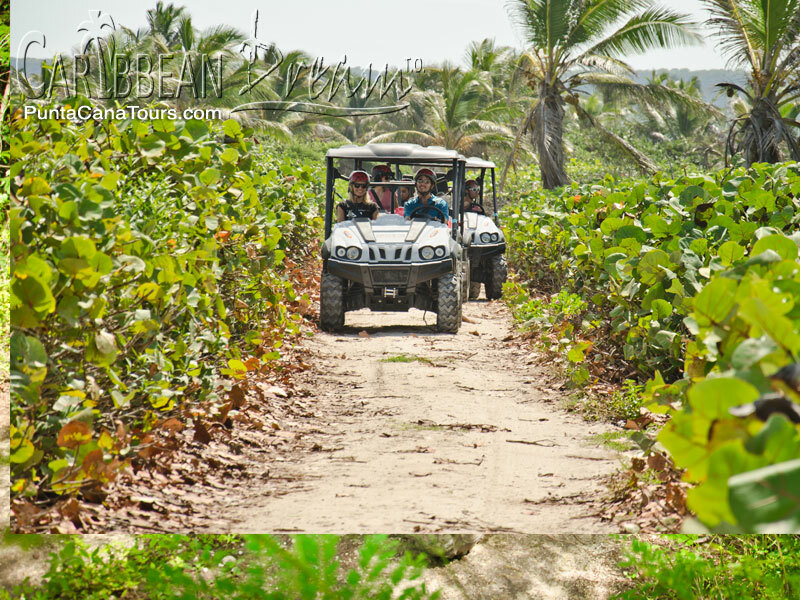 Have a coconut and enjoy the view. This excursion's last stop is Playa Juanillo. Enjoy the postcard perfect white sands and crystal clear turquoise ocean of this unspoiled paradise. 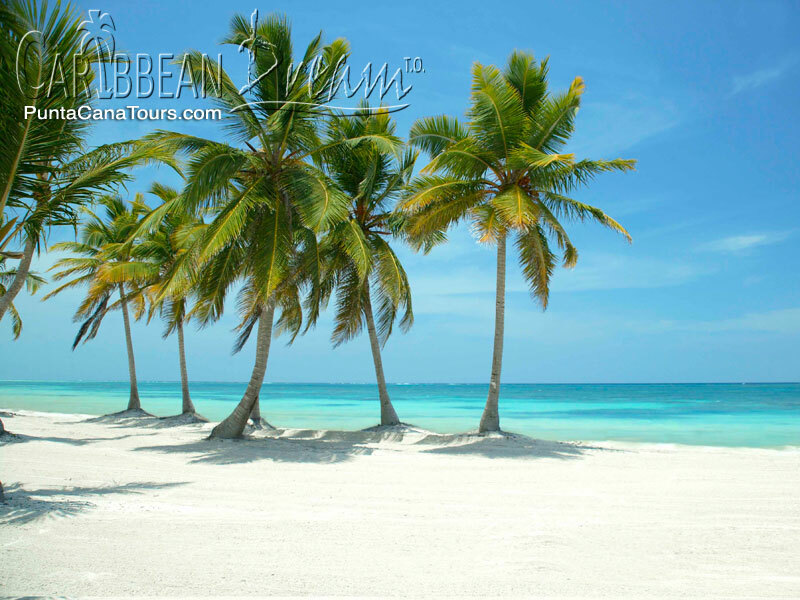 You'll definitely want to take a break and swim in these warm, waste deep waters. 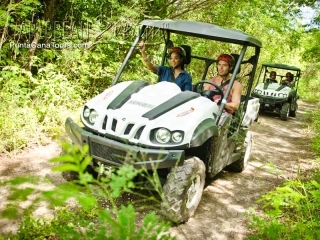 All the buggies have automatic transmissions. You will be transported by bus to Playa Juanillo. 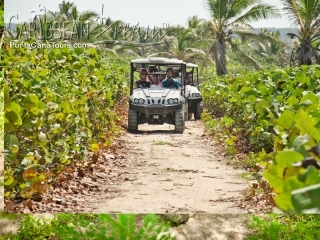 From the beach you are then taken back to your hotel.